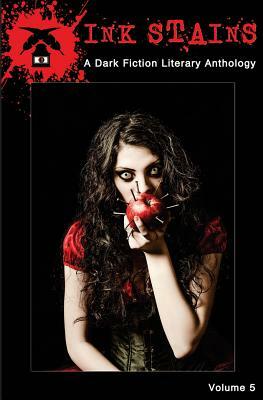 Dark Alley Press, 9781946050052, 204pp. The human mind is an incredible organ. It shoots synapses through trillions of connections to the more than 100 billions nerves in our bodies. But what happens when one of those connections goes bad? What happens when there is a misfire? What happens when some minds break, and people stop functioning "correctly"? Join the writers featured in the fifth volume of Ink Stains anthology as they explore what happens when good people go bad or mad. When misfiring brains can no longer separate fact from fiction...or maybe it is all fact, and it is us, not they who are mad. Andrew Benn, Tiffany Michelle Brown, Don Cox, Elana Gomel, Leigh Harlen, Jason L. Kawa, Adrian Ludens, RJ Murray, Peter Emmett Naughton, Michael Picco, Paul Tanner, Timothy A. Wiseman explore these themes and other dark delights that may leave you questioning what is real. The human mind is an incredible organ. It shoots synapses through trillions of connections to the more than 100 billions nerves in our bodies. But what happens when one of those connections goes bad? What happens when there is a misfire? What happens when some minds break, and people stop functioning "correctly"? Join the writers featured in the fifth volume of Ink Stains anthology as they explore what happens when good people go bad or mad. When misfiring brains can no longer separate fact from fiction...or maybe it is all fact, and it is us, not they who are mad. In Ink Stains, Volume 5, Andrew Benn, Tiffany Michelle Brown, Don Cox, Elana Gomel, Leigh Harlen, Jason L. Kawa, Adrian Ludens, RJ Murray, Peter Emmett Naughton, Michael Picco, Paul Tanner, Timothy A. Wiseman explore these themes and other dark delights that may leave you questioning what is real. Ink Stains, a quarterly dark fiction and horror anthology published by Dark Alley Press, is about shining a stark light on the shadows of life, exploring those dimly lit corridors, and unearthing those long-buried secrets. We don't believe good will always triumph over evil or that someone will always be around to save the day. Sometimes all we have is ourselves. And the stories that keep us turning the page.